A lot of travelers and tourists do go back to their hometowns with praises for Dubai’s cosmopolitan makeup and ultra-modern façade but very few take the trouble to discover the wonder that is old Dubai. A wonder that still exists, if you would only care to look for it. grandfather to the present ruler of Dubai. The house is located on the Shindagha end of the Dubai Creek and holds a collection of photographs and documents that is quite rare. The Heritage Village and Diving Village, another point to soak in some old world charm and culture is in the vicinity of the Sheikh Saeed house. Another historical location to go sightseeing in Dubai is the Hatta Heritage Village, a 400-year-old settlement. The community is nestled among the Hajjar Mountains and also houses the magnificent rock formations and rock pools known as the Hatta Rock Pools. Of course, no Arabian adventure involving old Dubai is complete without a shopping excursion in Dubai’s souks. 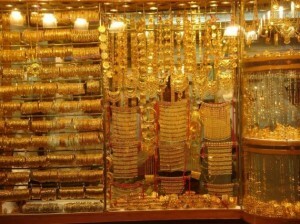 First on your list for sightseeing in Dubai souks should be the Gold Souk in Bur Dubai near the Ascot Hotel. Follow it up with a trip to the Perfume Souk, the Spice Souk and Textile Souk- each market an exciting experience in itself. There are many Dubai City Activities that will show the soul of real Dubai and you don’t need a guide book to tell you where to go looking for them. Let our Abu Dhabi travel company help you out. We have well-placed contacts and a touch on the local pulse- perfect for your excursion into old Dubai. Arrange for Dubai car rentals to the Hatta Rock Pools. A tranquil pocket of nature lies hidden in the Hajar Mountains, far from the clutches of civilization. The Hatta Rock Pools are rock formations with pools of turquoise-green waters, liberally interspersed with waterfalls. After aMeeting, Incentives, Conference and Events program (MICE), ourAbu Dhabi travel companyrecommends a trip to the rock pools as the perfect relaxation for hardworking staff. Also included in tour packages for a MICE in Dubai is a trip to the Dubai Museum, housed in the Al-Fahidi Fort. One of the rare few buildings featuring authentic Bedouin architecture, the Al-Fahidi Fort was built in 1787. Your company can have a restful and educating trip down old Dubai with a visit to this old world bastion. Dadabhai Travels can help you out withsightseeing in Dubai excursions and timings that are convenient for your organization. For the corporate bigwigs involved in a MICE in Dubai, the Dubai Creek Golf & Yacht Club offers the perfect gentleman’s getaway. Located along the Dubai Creek, this golfing center features lush, sculpted gardens and ornamental lakes and waterfalls with golfing going on during the night as well. The Emirates Golf Club’s Majlis and The Faldo golfing greens are other magnificent golfing venues offering avid golfers the best in company and service. From bookings in luxury hotels in Dubai to reservations at these golfing greens, Dadabhai Travels takes care of everything. Rested employees make happy employees. Let our Abu Dhabi travel company assure a pleasant stay for your employees. In New York, the Christmas season is heralded by Macy’s Thanksgiving Day Parade while in Europe, the weather has multiple personalities depending on the country you find yourself travelling in. In the antipodean nations on the other hand, the weather is as balmy as it can get, with plenty of opportunities for tanning and surfing. 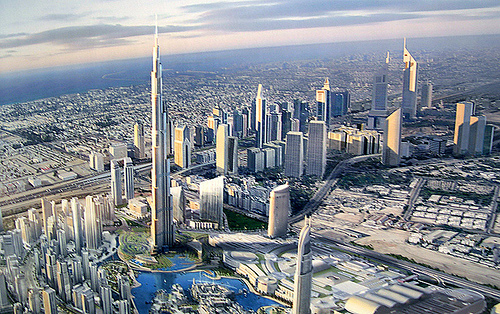 For itself, Dubai has more in common with the later group of countries. Winter gaiety is simply a succession of days filled with sunshine and outdoor activities that can be enjoyed without worrying overmuch about the weather. Golden Emirate. 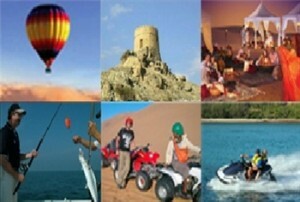 The options for a safari tour can vary depending on the Abu Dhabi travel companyyou consult with. For instance while some only arrange for a camel safari in Dubai, there are a few who provide dune bashing as an attraction as well. Your best bet would be to opt for an Arabian adventure that will give you a comprehensive package- from camel rides during any part of the day to a romantic dhow cruise in Dubai along the waters of the Creek in the night. 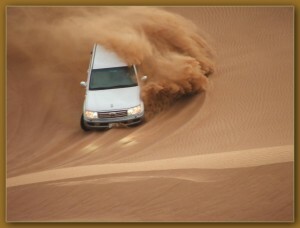 You could even carry your children along for a desert safari tour in Dubai for as much as 290 dirhams per child. Certain Dubai City Tours have specialized packages for tiny tots. Beware of Dubai tour packages that do not have the necessary permits or grants to offer such activities. Go in for a professional service and your experience will be all the more authentic and safe. December 2 marks the day on which the seven Emirates joined to form one nation- the United Arab Emirates. Termed as U.A.E. National Day, the preparations for this celebration start days in advance. If you are planning to visit the U.A.E. for some sightseeing in Dubai, you could book a room in a luxury hotel or even stay at a hotel apartment in Dubai until Eid Al Adha, expected to last from December 8-10. Compared to last year, there is a lot planned by civic and government authorities alike in Dubai for the 37thanniversary of the occasion, which is tipped as a celebration of national identity. In Abu Dhabi, the Emirate’s Tourism Authority (ADTA) has planned pyrotechnics, heritage demonstrations, free concerts and micro-light plane performances 12 days in advance to commemorate the occasion. Our Abu Dhabi travel company can arrange for tours to see the special 15-minute firework display in the desert as well as concert tickets to the various shows. In Dubai, the Executive Council has created a new logo in honor of the event and people have been exhorted to fly the national flag. Telecom company du has even produced special songs sung by the famous artist, Hussain Al Jasmi. If you are of a mind to sit around and enjoy a leisurely National Day event, pack a picnic basket and head to the Creekside Park. Hire aDubai car rental to take you to the park where you can fish from the designated pier or explore the locality from a cable car. Make your hotel booking in U.A.E. quick to catch the best of the National Day celebratory events. Eons before the Dubai tourism department brainstormed the Dubai Shopping Festival, there were the original souks of Dubai that dotted the Emirate. Just like the malls that are slowly taking over the retail area today, the souks were the heart and soul of Dubai trade and economy. have given over to cobbled and more spacious versions, but one element they yet retain is an old world charm. One of the must-see and must-try Dubai City Activities, these souks are still the best places to get the best bargains and indulge in some authentically Arab grabs. 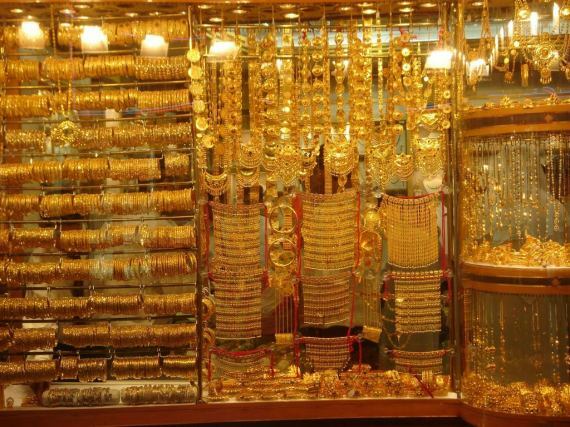 The Gold Souk for instance, offers tourists and residents alike a selection of gold designs and craftsmanship that is more traditional as compared to the modern Westernized options sold at malls and showrooms. 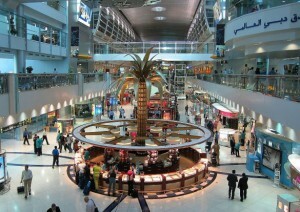 Book a Dubai car rental through your travel agency and direct them to the Ascot Hotel, where the Gold Souk is located. The Deira Spice Souk and the Perfume Souk are tastes of the exotic you must savor when sightseeing Dubai. The spices and attars (perfume essences) sold at these places are headier and more aromatic then the ones found elsewhere. Some attar shops can even concoct you a signature perfume to suit your senses and personality, making it a unique souvenir to carry home (we happen to know some authentic perfume sellers who can do this). Our Abu Dhabi travel company can arrange for excursions and make a hotel booking in U.A.E. near these relics of Old Dubai. Contact us for an Arabian adventure high on some retail therapy. One thing that can be said about Dubai with definite certainty is the city’s commitment to pandering to different cultures. Perhaps one of the most cosmopolitan cities in the Middle East, Dubai boasts of a foreigner population made up of more then 1.2 million people. While preserving its Arabic sensibilities, Dubai is a trifle more lenient with the dress, alcohol consumption and religious laws. Travelers coming for a bit of sightseeing in Dubai need to note that the only places where alcohol can be consumed are the hotels in Dubai, which house almost all of the nightclubs and pubs and a select few bars around town. The racecourses are a different matter though, with the government granting a special permit for alcohol consumption last year when the Dubai World Cup coincided with the Prophet’s birthday. Some really great places you can quench your thirsty palate during your Dubai City Tours are at the Atlantis, Carter’s (which happens to have an oxygen bar as well), Hard Rock Café, the Irish Village, Trilogy at the Madinat Al Jumeirah and the aircrew favorite Zinc. Besides these party spots, you could request your Dubai Tour Packages to include a Dhow Cruise in Dubai or book an Italian opera extravaganza. Puccini’s La Boheme and the Nutcracker Ballet are two productions that feature in the event list for the coming months. You can even take out children for shows like the Jack and the Beanstalk show and the Magical Music of Walt Disney children’s show. Why should they miss out on all the fun. Contact Dadabhai Travels for a booking and Dubai car rentalarrangement for any of these activities. 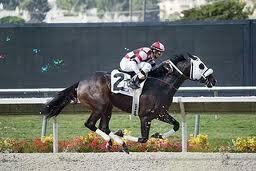 As is common with all things Dubai, the Emirate happens to host therichest horse race in the world on an annual basis. The prize money for the Dubai World Cup is a whopping $21 million. Horses and sports relating to them have been a Dubai favorite for a long time, thanks to the easy availability of Arab horses in the Middle East. Equestrian activities like horse riding, endurance, show jumping and racing are some of the best Dubai City activitiesthat tourists can indulge in during a trip to Dubai. For businessmen and employees attending a Meeting, Incentives, Conference and Events program (MICE) in Dubai, equestrian pursuits are the perfect excuse to relax and enjoy the city. Under the rule of HH Sheikh Mohammad and his wife Princess Haya, equestrian sports and recreation have found new impetus. Both avid equine enthusiasts themselves, they have made vital contributions towards increasing the levels of breeding and the quality of horseflesh Dubai. For those travelling for a MICE in Dubai, there is the Dubai Equestrian Centre in Nad Al Sheba- widely regarded as the epicenter of the Dubai equestrian world. Instructors qualified by the British Horse Society, a discerning selection of horses and a track worthy of the best turfs in the world can be availed of here. There are some fantastic options available for children, and trained instructors can help them get their bearings very easily at a special track or riding school for them. Contact our Abu Dhabi travel company for lessons in any horse riding activity of your choice, and we shall make your MICE or Dubai City Tours a more memorable venture. After the scorching opening ceremony planned for Atlantis, you might think Dubai needs a breather from the international party scene before launching into newer attractions (the fireworks are to be orchestrated by the same people behind the Beijing Olympics spectacle). Sorry to disappoint you though, Dubai does not know how to pause. Center tomorrow night- Kylie Minogue is going to perform a show that promises oomph galore. Brought in to inaugurate Atlantis, The Palm- touted as the most expensive hotel in the world, Kylie’s performance follows a string of star-studded shows that Dubai has seen this year. Of course, I’m talking about the recent Temptations Reloaded 2008 show that had a slew of Bollywood (the Indian film industry) stars like Arjun Rampal, Bipasha Basu and Shah Rukh Khan entertaining the Dubai public. Dubai, for some reason becomes a captivating place to visit during the latter half of the year thanks to the various festivals and events that tend to line up around the winter months. Dadabhai Travelscan arrange your Dubai Tour Packages to coincide with these exciting events. Whether you plan on staying at luxury hotels in Dubai like the recently inaugurated Atlantis or want a hotel apartment in Dubai for your stay, the options are limitless and comfortable to say the least. Get in touch with us for a an entertaining winter trip to Dubai. About a fraction of people from all over the world would think of coming in to Dubai to celebrate their honeymoon, and you can be sure that a majority of the lot would be adventure-seekers. For these couples, it is a thrill of a different kind to embark on a late night Safari Tour in Dubai or a romantic dhow cruise in Dubai. While you have to admit, travelogues and brochures are all praise for the romantic aspect of these activities, they need not be enjoyed by only the adventurous as a honeymoon activity. A number of theDubai Tour Packagesarranged by Dadabhai Travelsare actually honeymoon trips that a lot of Europeans and Asians enjoy. Coupled with the shopping delights the city has to offer and the balmy weather, these Dubai City Tours make for a fantastic attraction. Indeed, Dubai definitely holds sway on the list of destinations honeymooning couples would term as exotic. 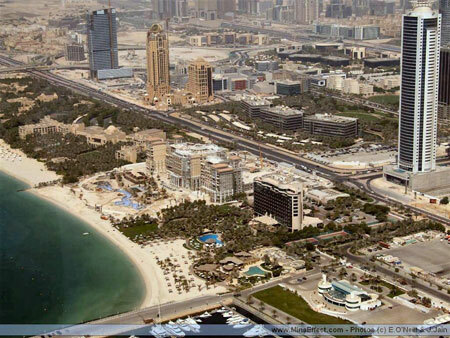 Visit the Emirate during the latter half of the year, preferably in December if you want to enjoy the pleasant weather. However, if you have set your sights on shopping as well, then the best time to gosightseeing in Dubai for your honeymoon would be during the annual shopping festival period. It generally falls in February-March. Of course, you would have to plan your wedding in a manner as to accommodate these periods. You could get in touch with our Abu Dhabi travel company for more travel options. We can take care of your Dubai hotel booking as well. Dadabhai Travels can make your honeymoon memorable for you. 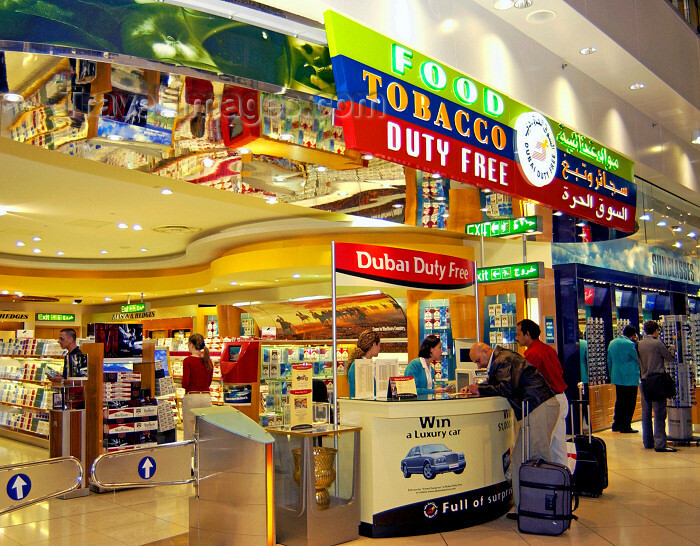 Anybody visiting or departing from Dubai has visited the Dubai Duty Free store at Dubai International Airport and experienced the fabulous attractions it has to offer at least once. It goes without saying that the Duty Free store is one trip that can’t not be included in any sightseeing in Dubai excursion. everything and anything is offered at shocking discounts. Considering that the store is celebrating its silver anniversary this year, there are bound to be some good finds which you can add to your shopping cart. 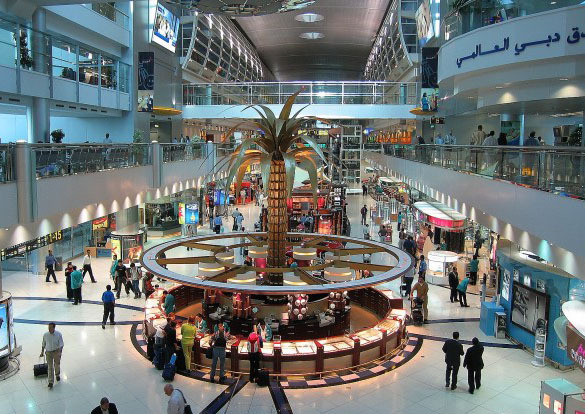 Shopping is a very Dubai-centric activity and the innumerable malls, souks and supermarkets dotting the cityscape and filled to overflowing will give an idea of how much Emiratis and tourists love visiting them. The annual shopping season, also known as the Dubai Shopping Festival is perhaps the best time to visit Dubai if you have retail therapy foremost on your mind. The next one shall commence from January 15 and last until February 15. If you would like to make your trip to Dubai during this period, make sure you get your Dubai hotel booking taken care of as soon as possible. The rush that heads to Dubai during this period is phenomenal and you wouldn’t want to do without a room in some of the best hotels rooms and hotel apartments in Dubai. Dadabhai Travels can help you identify and select the Dubai Tour Packages that suit you best for your trip to the U.A.E.